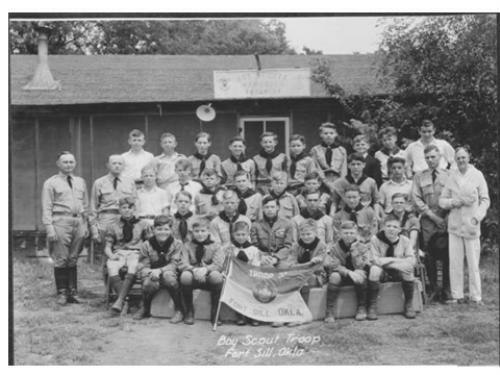 Original Fort Sill Boy Scout Troop 37. The "Tar Paper" cabin in the background is believed to have been the first Scout Hut on Fort Sill. This photo was probably taken between 1920 to 1930. 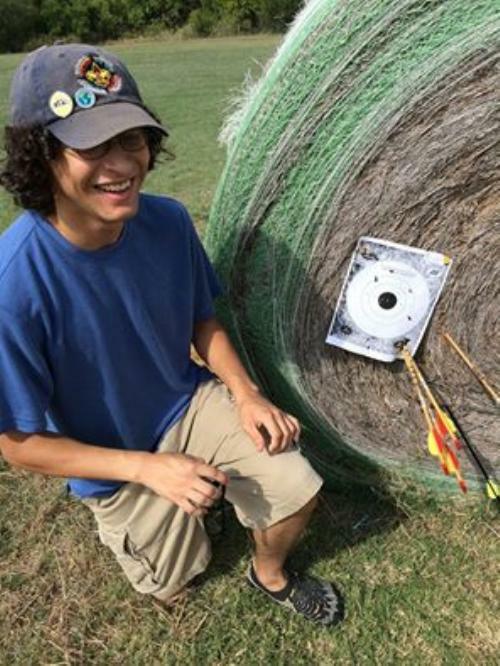 Troop 4173 is located on Fort Sill Post, on Punchbowl Road across from the Outdoor Sportsman Center. Our Troop has been on this post for 59 years and we plan on being here for many years to come! Our meetings are on Tuesdays from 6:30 to 8:00 pm. Our Troop is truly, a boy-led troop! We believe that by having the boys lead the troop in all events teaches them not only to be leaders but gives them an opportunity to learn from their mistakes in a controlled environment. Adult leaders are there to guide the boys to success, but not do the work for them. We teach basic skills such as camping, cooking and other life skills. Membership is for boys 11 thru 17 years of age (sixth thru twelfth grades). We invite you to come by and see for yourself how much fun the Boy Scouts can be during our Tuesday evening meetings, or contact our Scoutmaster directly using the "Contact Our Troop" link. Welcome to Boy Scout Troop 4173 website. We are chartered by "Big Deuce" Chapter of the FA (Field Artillery) Association and have a long and rich history with Fort Sill. We pride ourselves in creating and sustaining a learning environment for our boys through a vigorous camping program and an unwavering commitment to addressing each boy's needs. 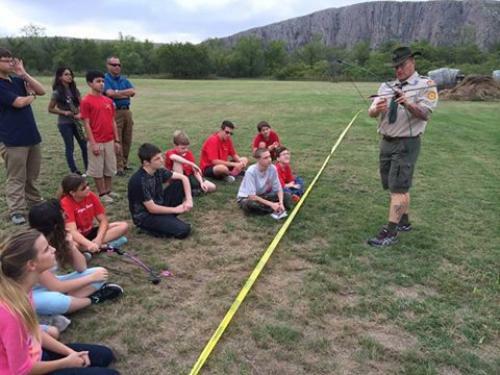 Our troop annually records high numbers of completed merit badges and supports multiple boys in attaining their Eagle Scout rank. While the boys are the focus of the program, it is through the commitment of adult volunteers and parents that we are able to deliver a program filed with new experiences and adventure. We encourage parents to participate to the extent that fits their personal situation. We look forward to discussing our scouting program with you! Visitor Flyer.2017.05.pdf Learn more about our troop! 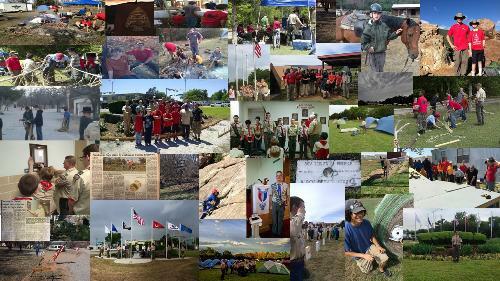 We meet Tuesday nights 6:30 to 8:00 PM at the Scout Hut, Bldg 4150, on Punch Bowl Road. across the Outdoor Center on Punch Bowl road.